Knorr Demi-Glace makes for quick back-of-house preparation while bbq or teriyaki sauce, ginger, canola oil and grated pear deliver authentic flavors. Season short ribs with salt and pepper. Brown in the oil on all sides. Transfer ribs to a pressure cooker, add liquids, pear and ginger and cook on high pressure for 50 min. 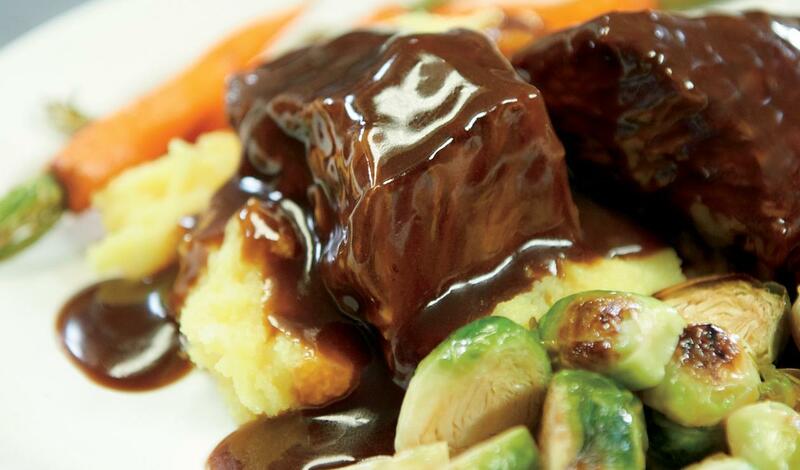 Serve the short ribs with additional sauce and a side of roasted vegetables.